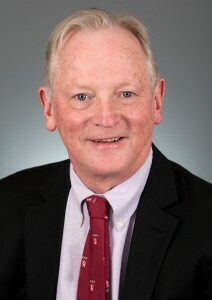 2015 Prize: Frederick Alt, Ph.D. The Szent-Györgyi Prize selection committee was unanimous in its decision to recognize Dr. Alt, whose work has proved foundational to the modern understanding of cancer – not only how the lethal disease forms, but also how it can become resistant to treatment. In particular, his seminal discoveries of gene amplification and his pioneering work on molecular mechanisms of DNA damage repair have helped to usher in the era of genetically-targeted therapy and personalized medicine. Dr. Alt’s discovery of gene amplification in chemotherapy-resistant cancer cells—which revealed that cells can produce multiple copies of a gene—was revolutionary, coming at a time when the human genome was widely believed to be stable and inflexible. This radical new concept suggested that cancer cells could change their genes, a process that would both allow them to develop more potent cancer-causing genes as well as evolve resistance to treatment. Equally important is Dr. Alt’s work on the critical DNA repair mechanism called “non-homologous end joining” (NHEJ). Dr. Alt not only made the initial experimental findings that led to the discovery of this pathway, but also carried out an ingenious series of experiments over many years in his lab in Boston, taking it apart piece by piece to understand how it works. This work linked NHEJ to protecting against a specific kind of DNA damage called “translocations,” which is a major component of many cancers, especially leukemia and lymphoma. Your ticket for the: 2015 Prize: Frederick Alt, Ph.D.